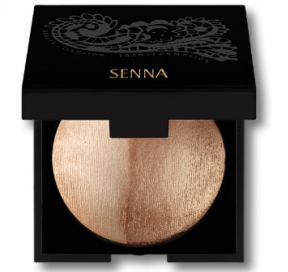 More than mesmerising, the surreal, high impact glow of this breathtaking shimmer powder is absolutely irresistible. Cheekbones, brow arch, and Cupid’s bow pop with an ethereal and fiery brilliance. Extra refined baked powder gives a smooth gliding texture that is utterly divine. Use dry for a soft effect, or wet for more vibrancy. To Use: Apply highlighter to spot areas including cheekbones, brow arch, and Cupid’s bow. Sweep deeper tone over face, neck, and décolleté. Use dry for a soft effect, or wet for more vibrancy. your safe use of any cosmetic product, natural or synthetic, consult with your licensed physician before using our (or any) cosmetic product. Every effort possible is made to offer high-quality, safe and effective products for the consumer.